Frogs and Explosions? We're there! 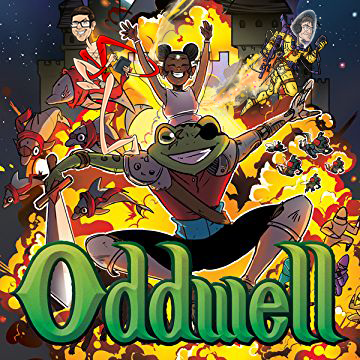 We start with an LA Comic Con Interview with the team from SBI Press’ Oddwell — David A. Clarke, Walter A. Bryant III, and editor Sedric Mychael Harris. Then we’ll trample through virtual conventions, films you’re not sure you want, expansions to the Star Wars universe, HBO’s Watchmen, and DC Universe’s Swamp Thing casting! We’re so pleased about the latter!